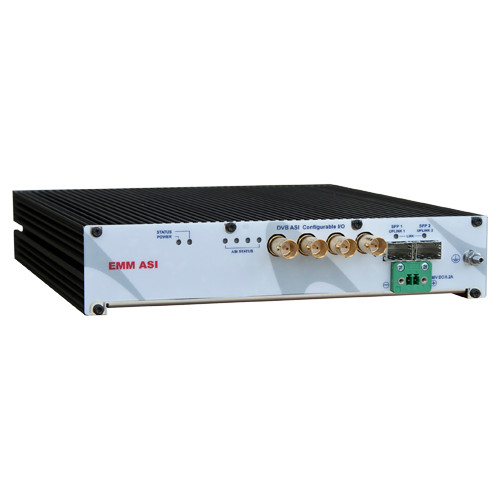 Optional External Multiplexer Module ASI (AT20102) is designed for transmission of multiple HD video streams over WAVEFORM microwave radio links and offers additional interface ports to all range of OEM Modem Units. It is also an ideal solution for single video traffic expansion into several directions – building of distribution points. The system enables transport of HD video streams along with IP/Ethernet and data services over the same platform. ASI (AT20102) EMM module is ready for branding and customization to OEM customers.